A Thai themed hidden object game. Is there a better alternative to Melissa K. and the Heart of Gold HD Collector's Edition? 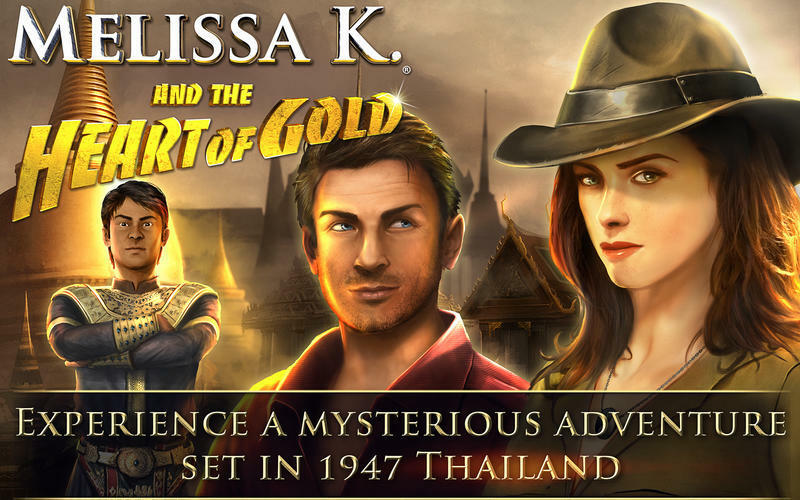 Is Melissa K. and the Heart of Gold HD Collector's Edition really the best app in Puzzle category? Will Melissa K. and the Heart of Gold HD Collector's Edition work good on macOS 10.13.4? Welcome to Melissa K. and the Heart of Gold HD Collector's Edition, a beautiful Adventure set in a unique interactive 3D world full of mysterious puzzles and Hidden Objects. Prepare for an unforgettable experience! The story unfolds in 1947 Thailand, in a world filled with characters, myths and legends from ancient Buddhist tales. When Melissa is invited by the Queen of England in person, she has no idea that her life is about to take a dramatic turn and a simple mission will lead her to question her very existence. Melissa K. and the Heart of Gold HD Collector's Edition needs a review. Be the first to review this app and get the discussion started! Melissa K. and the Heart of Gold HD Collector's Edition needs a rating. Be the first to rate this app and get the discussion started! Thanks to brand new "Immersion Tech." see combined cutting-edge 3D with beautiful hand-painted graphics. Live an adventure like no other! Use simple, natural gestures to navigate, interact with characters & use items with ease! 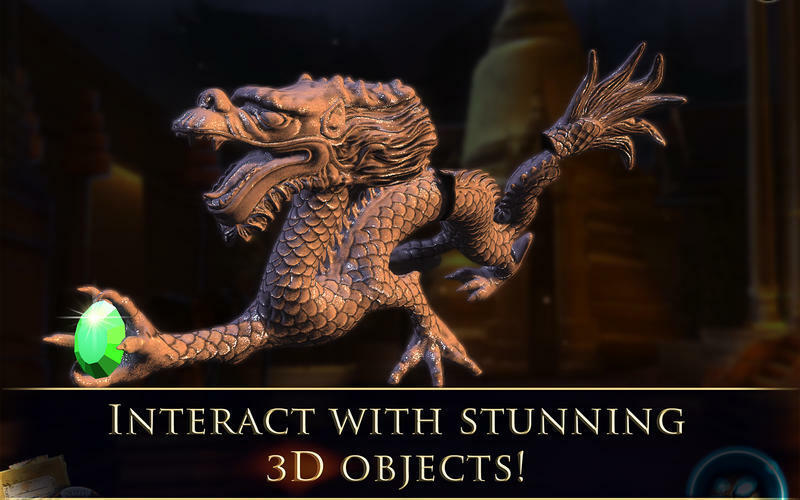 Manipulate exquisite 3D inventory objects! More than 30 exclusive puzzles, replay them to beat your best scores! Over seven hours of Game Play!